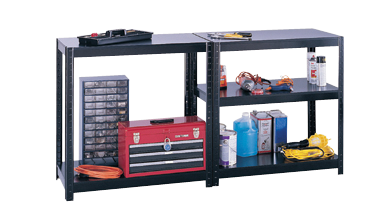 Can be designed as a 5-shelf, 72"H unit or 36"H workbench. Greenguard certified. Holds up to 850 lbs per shelf. Ready to assemble. Black. 36W x 18D x 72H.